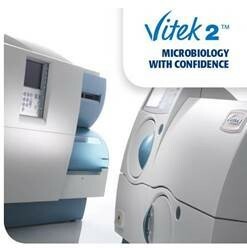 bioMérieux has updated its VITEK® 2 system for automated identification and antimicrobial susceptibility testing with software version 8.01 that is fully compliant with the IICC/IHE Laboratory Analytical Workflow (LAW) profile. The IICC/IHE LAW profile defines plug-n-play connectivity between instruments, middleware, and LIS systems in the laboratory. An IICC founding member, bioMérieux successfully tested its LAW Profile implementation at three IHE Connectathons in the USA and Europe. With this new interface, VITEK® 2 system software version 8.01 also supports LOINC® codification. Implementation of this connectivity standard in the VITEK® 2 system will help improve healthcare lab efficiency and contribute to better patient care through increased reliability of test order data and patient test results.